Just about 2 years ago, I thought it was the most significant development in the “road” category since aero. Now OPEN has announced an update, the usual stuff, but also acknowledged the impact of the U.P and its cousin the 3T Exploro. The awards are nice of course. Andy has sold a lot of bikes in his life and spoken with many customers but has never seen the amount and intensity of feedback the U.P. drives. That includes me because I bought one. The feedback comes from a new way of riding and all the options a bike that can fit a 2.1 tire comes from. So it’s not just a new bike or even an updated one, but riding in places never ridden before, and being happy about new-found freedom. And, we owe that in part to OPEN teaching bike designers that they can make a multi-purpose bike that’ll do most instead of marketing another niche. Considering OPEN’s impact, just last week, I had a commuter chase me down to confirm I was on a U.P. More importantly, OPEN is not a company concerned with huge sales volumes, they just want to make original and interesting products. And, are flattered by the knock offs. While you can find similar bikes, in a range of prices, I encourage you to support the original GravelPlus bike. 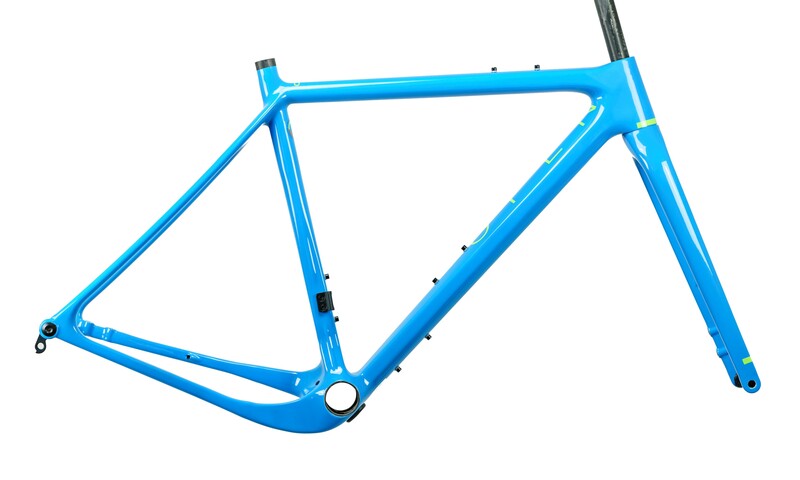 The 2nd-generation frame has been lightened up by 70 grams and ships with the new U-turn fork saving another 65 grams. 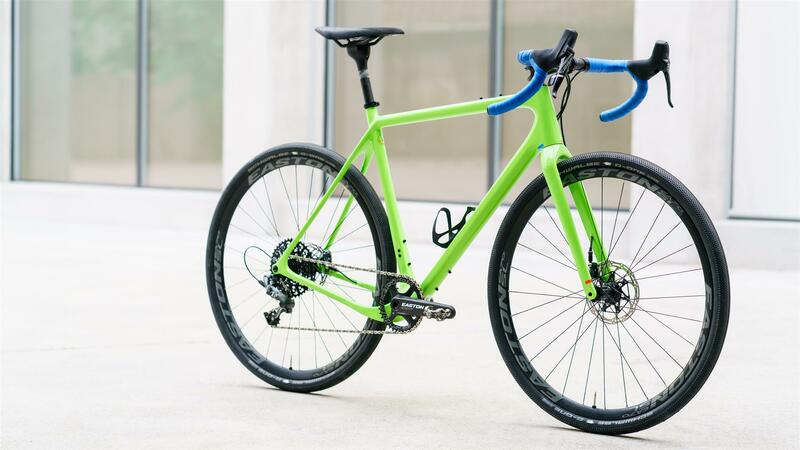 Further upgrades include flat-mount disc brakes and a new carbon layup, as well as new dedicated hardware including superlight Carbon-Ti axles. For those spending more time on the road and with fatter wallets, the UPPER is lighter and costs $4500. For fans of post-mount brakes, the original U.P is still available at $2600. The New U.P. will be available in September 2017 in green and blue with MSRP set at $3200 for the frameset. Here are the differences between the three framesets in a table. Pro tip: get the classic while you can.